Traffic Multiplier Review By A Real Member - Are They Lying To You?! Have you been offered to join this program that promises you to increase your traffic for free and save the money on yourself by getting free software programs? Read my detailed Traffic Multiplier Review in order to see how they might be deceiving you with the lies they tell you in the video. I will show you below the details of the components of this program and I will show you how they are lying to you about the “FREE” software programs they are promising you to get. I know that when you have an online business, or a website for your brick and mortar business, then one of the biggest challenges would be driving the targeted traffic to your website or business, which is getting more expensive everyday. This is in addition to the expenses associated with the software programs and tools you need to use. And when someone promises you of free traffic and leads, in addition to save the money on the software and tools you use, then it would be difficult for you to resist the offer. But I believe that you felt that something is wrong about these promises and that’s why you are looking for reviews of Traffic Multiplier Pro by Glynn Kosky before you risk any money. Congrats! You have made the smart decision and you are in the right place in order to see the details of what you get in return of the first $47 payment. And to see the other costs that you will need to pay although they are promising to save you money. 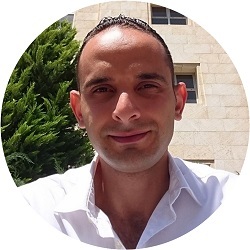 And I will guide you to the place where you can really learn how to get the FREE traffic that you are looking for through an EVERGREEN method. Price: $47 Front-End payment, Four Up-sells of $67, $67, $67 & $297 + Expenses On External Tools (Although They Promise You FREE Ones!). What Is Traffic Multilplier Pro? 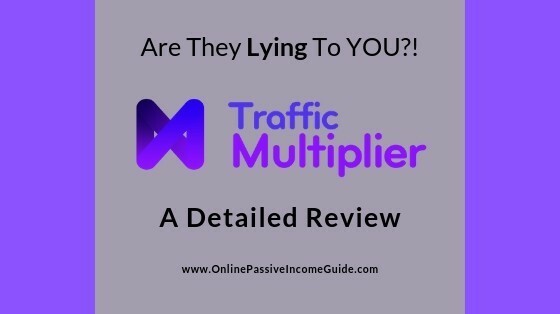 In order to show you the truth about this Traffic Multiplier Program, I will divide this section into two sub-sections: What They Promise You & What You Get. They promise you to get a “system” that helps you generate free traffic and to give you FREE software programs and tools including an email software with UNLIMITED email messages. And they promise to teach you how to use them. Setup a push notification system using a free software that will allow you to send notifications to those who already visited your website. (This software is also available for everyone and it is NOT owned by Traffic Multiplier). Setup Facebook Pixel in order to retarget the website visitors with Facebook ads later. So the program is about teaching you how to setup the four components mentioned above and connect them together. Email list in order to send them automated email messages. Push notifications list that you can use to send them push notifications on their phones or web browsers. The only added value of this program, it is about teaching you how to use the push notifications! They lie to you in the video by promising you the FREE Unlimited Email Autoresponder, while they actually tell you later to use Aweber, which is a PAID tool with 30-Day free trial, that you can use without joining Traffic Multiplier. And even the free landing page builder (Elementor) and the push notification software, these are FREE and available for everyone. They are not owned by Traffic Multiplier. And there are other lies I will expose to you later in this review. How Does Traffic Multiplier Exactly Work? As I explained, Traffic Multiplier is a video training course that shows you how to setup a landing page and connected it to a software that sends browser push notifications to people who already visited your website, and connect the landing page to an email autoresponder in order to collect the leads and send automated email messages. They DON’T show you how to setup the website in the first place. You have to learn by yourself from the available YouTube videos. And all the tools mentioned are external tools and available for everyone, and Traffic Multiplier just teaches you how to use them with a basic training. And again, forget about the “FREE unlimited email autoresponder”! They are actually promoting to you Aweber which has a 30-Day free trial available for everyone! Now of course it is useful and recommended to use the push notification software, the email autoresponder and the Facebook Pixel for retargeting who already visited your website and bring them back. That would be almost free traffic. How do you get them to your website the first time?!! They DON’T teach you how to do that. There’s a short video about the general methods for bringing the traffic with both: Free/Organic and Paid Ads, but the video is very generic and doesn’t teach you anything. So in a nutshell, Traffic Multiplier works by you watching the videos in order to learn how to setup the landing page, push notifications, the email autoresponder and the Facebook Pixel. And almost all of that can be found easily for free on the web or on YouTube. But you still need to figure out how to setup the website from the scratch, how to create offers and how to drive traffic in the first place! STEP BY STEP TRAINING: This consists of the following modules that is going to show you how to do the landing page, and how to setup the notification software, email autoresponder and the FB pixel. Additional Free Resources: The list of the NOT Free tools (some are free) that you need to use. *BONUS* Additional Training: Very basic training on how to create a lead magnet, engagement FB ads, and general information on the traffic sources. These are some free ebooks, guides and previous training courses by Glynn Kosky (mostly about CPA Marketing). You get access to these for FREE. Mostly, you can find how to that for FREE, but I like the fact that Glyn teaches you how to setup these notifications at the same sequence that includes collecting emails and Facebook Pixel data. But still, it is very basic, and doesn’t teach you how to setup the website from the scratch and how to drive traffic in the first place! 30-Day money back guarantee by ClickBank. Actually you need some experience since they don’t show you how to setup the website from the scratch. And you need experience in driving traffic in the first place. As I mentioned, most of the training is basic, the only thing that is useful my opinion is integrating the push notifications. 3 – The Tools Are Not All FREE! They promise you a free and unlimited email autoresponder, but that is a LIE! The autoresponder they tell you to use is a paid one that has 30-Day free trial, but you have to pay after that. And you still need to pay for the hosting of the website you need to create. As I mentioned earlier, you need some experience in driving traffic before you benefit from the push notifications and the email autoresponder. They DON’T teach you that! The front-end payment is the gateway to other multiple upsells they will offer you. 6 – He Promotes Others’ Courses, Right From The Beginning! Once you purchase the Traffic Muliplier program, you watch the short introductory video, and below that, there’s a button that tells you to “super-charge your income”, and if you click on it, you will be taken to the sales page of a high-ticket affiliate marketing course that is Internet Jetset By John Crestani. And of course, through Glynn’s affiliate link so that he can make a commission if you purchase the other program!!! What do you think of someone who sells you his course, and the first thing he asks you to do is to purchase other people’s courses through his own affiliate links?!!! That alone tells you that he is not confident of what he teaches by himself. Only if you already know how to setup a WordPress website and you know how to drive traffic, but you want to learn how to setup the browser notifications with landing pages and opt-in forms. The front end payment is $47, and you can get it the Traffic Multiplier Discounted for $9 if you visit the sales page through this link and then try to close it. OTO 1: Done-For-You Campaigns $67. OTO 2: Lead Magnet Library $67. OTO 3: Facebook Pixel Tools & Training $67. OTO 4: Traffic Multiplier License Right $297. (You get the right to re-sell the program). And you still need to pay for the web hosting and the email autorespinder. Conclusion – Is Traffic Multiplier A Scam Or Legit? Since you actually get something in return for the money, then Traffic Multiplier is NOT a scam. However, because they give you false promises about the Free email autoresponder, and the fact that they don’t teach you how to drive traffic to your website in the first place, which is the real challenge here, I can tell you that I don’t recommend if you are a beginner. But if you already know how to drive traffic to your website, and you want to learn how to setup the push notifications and integrate them into your existing pages and funnels, then you might get Traffic Multiplier through the following link. A Better 100% Legit Alternative To Traffic Multiplier? As I explained above, the only benefit from Traffic Multiplier is learning how to integrate the push notifications into your landing pages and funnels. But if you don’t know how to set up a website in the first place, how to create content and offers, or how to drive traffic, then you won’t really benefit from Traffic Multiplier. And in that case, you need to learn how to create websites (without coding) and how to drive traffic to your website. And here comes my alternative, Wealthy Affiliate! This platform is an all-in-one platform that allows you to create websites with no technical experience, and it teaches you how to create content and monetize it through the best way of making money online, affiliate marketing. At Wealthy Affiliate, You also get a high quality, step-by-step training, and you get to host upto 50 websites (25 on registered domains and 25 on free domains), all with SSL Certificates, SiteSpeed and Spam Protection for NO Extra Cost! And you will learn here how to drive FREE traffic from the search engines to your website. You can learn about it this platform and try it for the FREE plan through my Wealthy Affiliate Review. Go and take action now and stop wasting your time AND money trying to find the magical push-button solution that doesn’t exist. Google Sniper Review – Is It A Scam Or Legit? Explode My Payday Review – A Scam Or Truly $1,000 A Day Working 20 Minutes?